Consultation and tattoo appointments are scheduled differently for new clients, than for clients who I have worked with previously. Please select which category you fall into below, so that you may read the guidelines for acquiring tattoo appointments. Emails which include questions already answered in the FAQ may not be answered. If I am unable to schedule your tattoo appointments within a time frame that suits you, you may consider scheduling a “fast track monday” tattoo appointment, or I will be happy to refer you to one of my trusted colleagues who can schedule your tattoo appointment sooner than I. When setting out to schedule a tattoo appointment, please be aware that planning ahead is very helpful. Due to the demands of my schedule, contact regarding tattoo appointments six to eight months in advance of your desired date is recommended. If you have missed the regular scheduling window and are interested in “fast track” please click HERE. While getting tattooed as a “walk-in” on a whim can be fun, and novel, the fact is that as a “walk-in” you will have no control over who actually does the work for you. 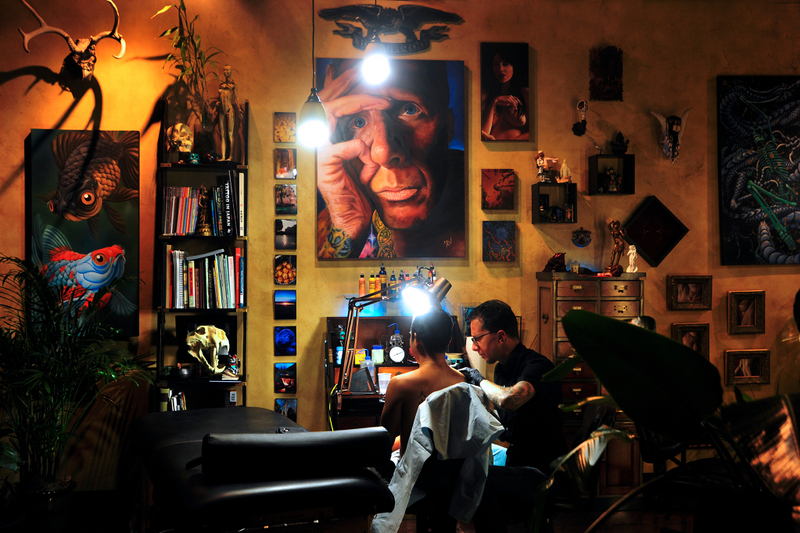 Scheduling an appointment to get your next tattoo is the only way that serious tattoo collectors do it. I recommend carefully selecting the artist who will do your tattoos, and working patiently with them to schedule your tattoo appointments. For more in-depth information on everything you may want to know about how to make the most out of your tattoo collecting experience, please click HERE. My deepest appreciation to everyone who has worked with me in the past, who is currently working with me, and who will work with me in the future. Your trust, patience, and support mean the world to me.